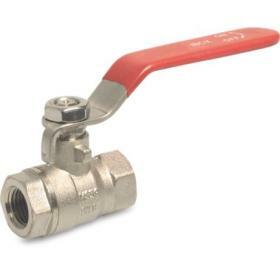 Mini ball valves for small bore installations. BSP female threaded ports. 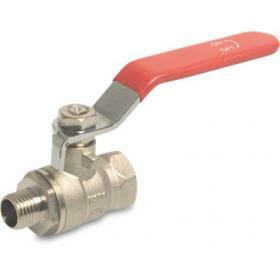 Standard 2 way full flow ball valves for general purpose use, female BSP threaded ports with chromed steel handle (red). 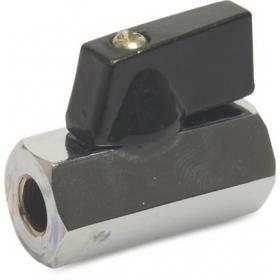 Standard valve as Type 100 but with male/female BSP threaded ports.